Being convicted of DUI/DWI brings on a whole host of new terms, requirements, and paperwork to fill out. First things first. An SR-22 is a certification form, and not a type of insurance. Many states require an SR-22 after a number of traffic-related offense, including a DUI. Essentially, the SR-22 labels you a high-risk driver. Now, even though the SR-22 is not a form of insurance, you have to get the form from a car insurance company. It’s sometimes known as a Certificate of Responsibility. In a nutshell, your insurance company sends the SR-22 to the state DMV to show that you have an active auto insurance policy that meets your state’s minimum liability insurance requirements. They can also send you a copy to keep in your wallet or glove compartment. You may be ordered by the court to obtain an SR-22. If that is the case, your state DMV will notify you. You will then need to notify your auto insurance company, and they will file the form with the DMV. Does My State Require an SR-22 After a DUI/DWI? Remember, state laws are always changing, so follow whatever requirements your DMV sets. It’s also important to note that an SR-22 follows you. In other words, if you are required to have an SR-22 in one state, if you move to another state that requires an SR-22, you will be required to maintain the original SR-22. If you move to a state that does not require an SR-22, you still need to maintain the SR-22 with the state that originally required you to file one. And don’t try and cheat the system if you move. When you try and get a new state license, your new state DMV will likely run your name through a national database, and see the information related to your previous offense and SR-22 requirement. The SR-22 Certificate of Responsibility is not very expensive. The processing fee for the form is generally about $15-25, depending on your auto insurance company. While the SR-22 itself may not cost that much, your auto insurance rates are almost guaranteed to go up because of the traffic violation that caused you to need one in the first place — in this case, a DUI/DWI. Some auto insurance companies don’t offer auto insurance coverage for drivers who need an SR-22. If that’s the case, you’ll have to go shopping for a whole new auto insurance policy. Generally, you’ll need to keep the SR-22 certification for 2-5 years. The most common length of time is 3 years. Your state DMV will have the specific details, based on your offense. The time the SR-22 can be extended if you violate your program requirements.. For instance, say you had another DUI arrest or other serious traffic infraction. But the time period for the SR-22 can also start over if you let your auto insurance lapse. So it’s important to make sure you keep up with your auto insurance payments. 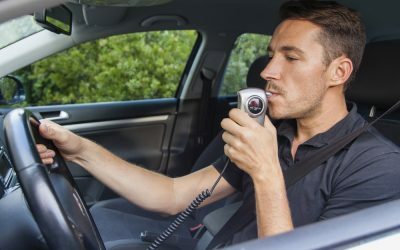 While being convicted of DUI, or being required to have an SR-22 on file with the state may raise your auto insurance rates, it is entirely possible that telling your insurance company about your ignition interlock device (IID) can lower your rates slightly, compared to someone in the same circumstances who does not have an IID installed. 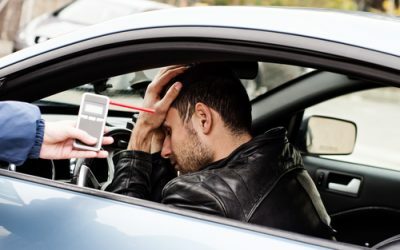 It is certainly worth asking, since ignition interlock devices have been proven to reduce the incidence of drunk driving in people who have them installed in their vehicles. While ALCOLOCK is not an insurance company, we make it our business to know about the things that affect our customers, like the SR-22 requirement. We stay up to date on the DUI and ignition interlock device laws across the country so that we can provide you with the best service possible. If you need to get an ignition interlock device installed on your vehicle as part of a restricted driving program, call us today at 866-700-9300, or use our contact form to get started. We offer fast and easy installation, and our rates are among the most affordable in the industry.